Fatigue is a mystery illness best placed in a horror movie: an unexplained contagion that morphs the healthy to near-zombies. 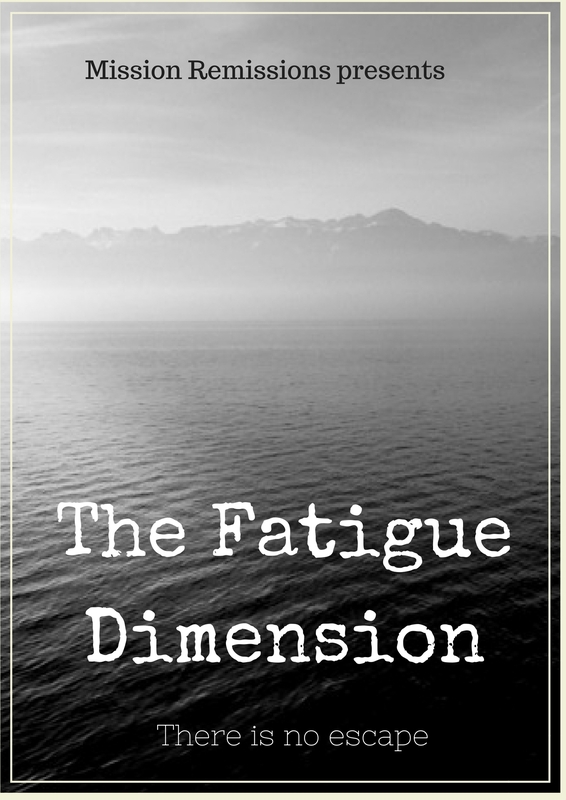 One of the most frustrating things about fatigue is its invisibility, trapping the mind in a dimension that others just can’t see. Every step tires in this world, as if boots stick in deep mud and gravity weighs heavy on the bones. The mind feels fuzzy, disconnected, and long-craved sleep is always unfulfilling. It's a bit like that series, 'Stranger Things', just without the gory monster. Fatigue can feel insurmountable; that nothing you do can make it better and there’s no escape. It can make you feel helpless and alone. But hiding out there in the dusty aisles of research, there are many strategies proven to help, it's just a shame that they don't always reach the people that need them. Mindfulness is one of these tools. It's a way of easing our stream of thought and there's a bucket load of evidence showing it helps in all sorts of areas. Our minds are constantly jumping from topic to topic, from thoughts on daily tasks, to work worries, money problems, health frustrations, concerns over social plans, anxieties about the future. When we have negative thoughts, they act as stones in the 'mind-stream' and it feels like more mental effort is needed to pass them. Mindfulness can help separate you from your fatigue, your health, or current feelings, and just embrace and accept the present situation. The stream of thought becomes less troubled by negative stones and the mind doesn't use so much mental energy. Stop everything and look around. Notice the small things: the silent draught ruffling through papers on the table; the vague noises from outside: cars, human chatter, birds chirping. Perhaps your computer whirs away as you read this, chugging along, connecting you to the World Wide Web. Sniff. Touch your face, your body. Feel being you. Ground yourself in this moment, this place you sit. Feel your skin touch the chair. Close your eyes, take a deep breath of air. Blink and shake your head. You’re here. This body is yours to do as you wish. Fatigue may slow you down, but you’re still very much part of the world and connected to it. Minding yourself in the moment helps, because if we let it fatigue disconnects from the world around. Lost in your own tired thoughts, it’s much harder to be active. And the less you do, the more tired you feel. Headspace - an awesome app that guides you through short meditations every day. The Buddhist guide has an amazingly hypnotic voice and once you finish the introductory course, they have dedicated courses on various health topics. Be Mindful offer an online course for £30/$38 and evidence so far has been promising, causing fatigue levels to be significantly lowered. Headspace is now offering the Mission Remission community a free 12 month subscription, learn more about it here! Love these suggestions and so true 'the less you do the more tired you feel' The difficult thing I guess is to actually decide to put into practice some of the ideas. I am struggling with fatigue post breast cancer radiotherapy. I also have Addison's Disease and thyroid issues, which make it doubly hard.